Ogden on Politics: Attorney Michael Avenatti Learns the Meaning of "Karma"
Attorney Michael Avenatti Learns the Meaning of "Karma"
are not difficult accomplishments. Avenatti, however, should have quit while he was ahead. When the Kavanaugh confirmation hearing became a three ring circus of sexual misconduct allegations, Avenatti could not resist the spotlight. He put forward an additional Kavanaugh accuser, Julie Swetnick, a woman who made the bizarre claim that Kavanaugh had made a practice in high school of getting women drunk so they could be gang raped by the future judge and his friends. Swetnick's allegation, like that of the lead accuser, Christine Blasey Ford, was offered without any actual corroborating evidence. But in the world of #MeToosuch evidence is not required. All that is needed is for a man to be accused of wrongdoing by a women. The movement, in its most extreme form, demands that women always be believed in such situations. Women, after all, never lie about such things. Ever. Avenatti fully signed on to the most extreme elements of the #MeToo movement including the concept that men are always guilty upon the mere assertion of wrongdoing by a woman. Then Karma intervened into Avenatti's life Last week came the news that the attorney was arrested for a domestic violence incident involving his girlfriend, aspiring 24 year old actress Mareli Miniutti. The allegations are that a drunk Avenatti hit her with pillows and dragged her across the door during a domestic dispute. Miniutti's claim earned her a preliminary restraining order, but prosecutors found the evidence insufficient to file felony battery charges against Avenatti. Avenatti has denied the allegations against him, explaining, I'm trying to be polite here, his girlfriend is not mentally stable and was acting erratically. Of course such a suggestion is a violation of the #MeToo mandate, i.e. that women's allegations against men must always be accepted at true and a man who attempts to defend himself is merely victimizing the woman again. I do not know if Avenatti is guilty or innocent. (I am though extremely impressed that Avenatti has had not one, but two, ex-wives come forward to vouch for his character and to say that he never did anything remotely violent with them.) I am comfortable, absent some corroborating evidence to the contrary, with the conclusion that it simply has not been proven that Avenatti violently assaulted Ms. Miniutti. Contrary to the assertions of many #MeToo adherents, women do occasionally lie about their encounters with men. Because it is virtually impossible to prove a negative, it is a matter of fundamental fairness that we assume those accused of sexual misconduct, including allegations of violence, are not guilty unless proven otherwise. Sadly, that principle was lost on Avennati when he attempted to use Swetnick's bizarre claim to personally derail Kavanaugh's nomination. Avenatti now wants to be presumed innocent and to have the right to defend himself against the domestic violence accusation lodged by Ms. Miniutti. Indeed, Avenatti should be cloaked with a presumption of innocence as well as given the right to vigorously oppose the allegation. Fundamental fairness dictates no less. At the end of the day, one can hope he will learn a lesson from the incident, namely that, occasionally, it is the woman lying while it is the man telling the truth. Avenatti needs to learn another lesson as well. Clients often lie to their attorneys. A lot. Most attorneys learn that early in their careers and thus take a much more reserved approach than Avenatti has in their representation of clients. That is why more seasoned attorneys learn to say "my client alleges she was attacked by X" instead of "my client was attacked by X." Don't ever go out on a limb for a client, vouching personally for the things the client is claiming. Oh, and do not ever tempt Karma because Karma will always win in the end. 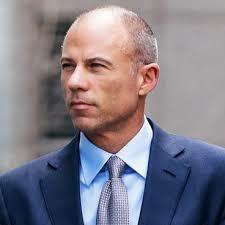 Didn’t you forget as Anti-Trump Republicans we are supposed to worship Avenatti! At least that’s what the Party Apparatchiks say!